No need of a garden or big yard to fulfill your wish of having beautiful plants and flowers in your house when there are vertical gardens. These gardens do not need much space, and you can grow them anywhere in your house. The best thing about them is that you can design them according to your style and design. If you are a beginner, start decorating your house with some simple gardening ideas. Look for some Tiffin boxes in your kitchen or buy some from the market, and fix them on a wooden wall. Take at least eight to nine Tiffin carriers to cover the entire wall. Fill these pots with decorative plants, so that the wall looks colorful and gorgeous. With this idea, you can cover your ugly-looking wall and make it look colorful. Whatever you call it, a 3D painting or just a hanging garden, this masterpiece can amaze all your guests. Install a simple wooden board on your dining space and plant some plants like mosses and ferns inside it. This looks amazing because you get a lovely combination of dark and light green leafs. Not only the dining or hall rooms, you can also use this gardening idea in the balconies and doorways. Most of the people feel irritated because of their dirty and ugly backyard walls. Do not worry, when you can cover them up with pouch gardens. This is a simple technique and also very popular one. Take a thick cloth, hung it on the walls so that it looks like a pouch. Fill these pouches with colorful and vibrant plants and make your ugly backyard look beautiful. Small wall spaces look bare and dull, especially if it is in the balcony or garden area. You can make it colorful and lively by installing a wall hanging garden. This is very easy, just take small cloth baskets and hang it upon the wall. Now, fill them up with small-sized plants of various colors. You can also add flowering plants in those baskets. For this style, you need a big size wall where you can hang various types of plants. Hang any type of plant you want, starting from the flowering ones to vegetable. Set this up in the exterior of your house and place two chairs because it creates a great ambiance. 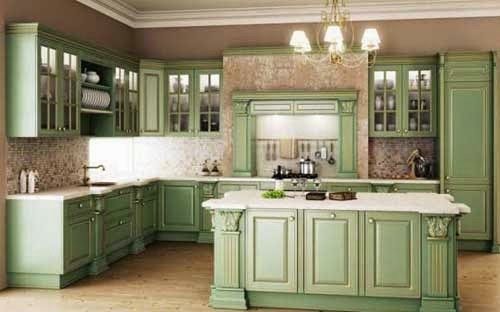 These are few ideas that you can use to transform the look of your house. There are many companies who can create these gardens for you, but in the first stages you can take the help of these ideas and make some of your own. Rajib KR Saha is a renowned author. He writes various articles on gardening and home decoration. 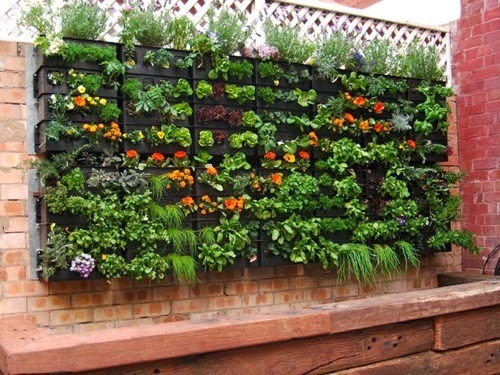 He says that vertical gardens in Australia are very popular and you can find them in most of the houses. 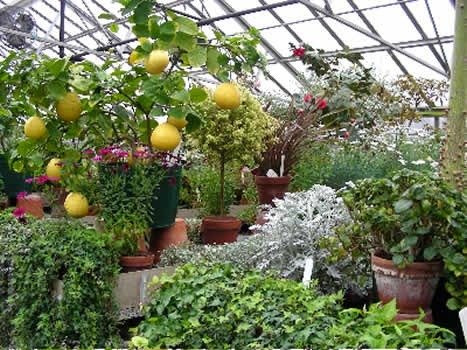 Greenhouses offer gardening enthusiasts the ability to grow their favorite plants year-round. Though, it is often a common misconception that flowers and fruit cannot be grown in the same environment, through proper planning a greenhouse environment can be created where both flowers and fruit can thrive. Growing both flowers and fruit may be as simple as designating a set of benches for flowers and another set for fruit trees, or as complex as creating independent zones in your greenhouse. The designation of greenhouse zones should take place during the greenhouse planning phase to prevent complications in the future. Zones are areas within a greenhouse that have their own specific temperature and climate; they are created by using interior walls to form sections in the greenhouse. Various temperature and humidity levels can be maintained by an automatic control system. The use of grow lights can assist in the propagation of both flower and fruiting plants. For example, strawberries thrive when grown under a grow light; just be sure to utilize the "everbearing" strand, as "June bearing" strawberries will not grow indoors. High pressure sodium (HPS) grow lights are ideal for both fruits and flowering plants, and provide a high efficiency yellow glow with a life expectancy of approximately five years or 24,000 hours. Every plant has its own growing requirements; some key factors to take into consideration when growing both flowers and fruit in your greenhouse include: lighting, humidity, and temperature. Lighting requirements for plants can range from full sunlight to heavily shaded environments. Some fruit, such as strawberries, need direct sunlight to grow while flowers, such as begonias, do well in shaded areas. The level of humidity required by plants can differ greatly throughout the year. At first glance, growing calla lilies and tomatoes in the same area may seem like a good idea because they both require a similar humidity range of 80 to 90 percent, but a second look shows that tomatoes require a lower humidity level (65 to 75 percent) at night in order to thrive. Temperature range should also be taken into consideration. Most fruits will grow best in the warmer temperature ranges, while flowers can flourish in cooler temperatures. Flowers and fruit can be grown together successfully with proper planning; including lighting, humidity, and temperature ranges. Contact a greenhouse expert for more information about how you can grow both flowers and fruits in your greenhouse. If you are interested in more information on Solar Innovations, Inc.'s product line, please contact the marketing department at skylight@solarinnovations.com or by calling 800-618-0669.